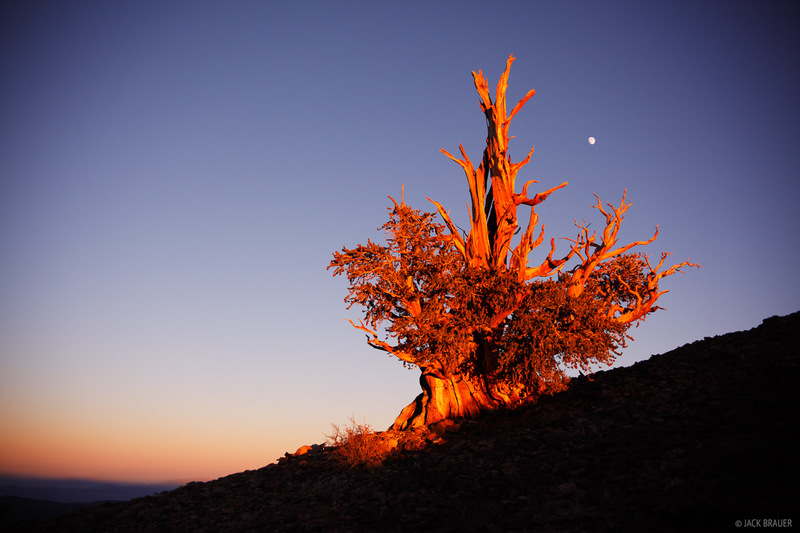 The last rays of sunset illuminate a bristlecone pine, the oldest living organism on the planet. These trees can be nearly 5,000 years old; their wood is extremely dense and resistant to insects and fungi, and rather than suffering rot, the wood erodes like stone due to wind, rain, and freezing. Photo © copyright by Jack Brauer.